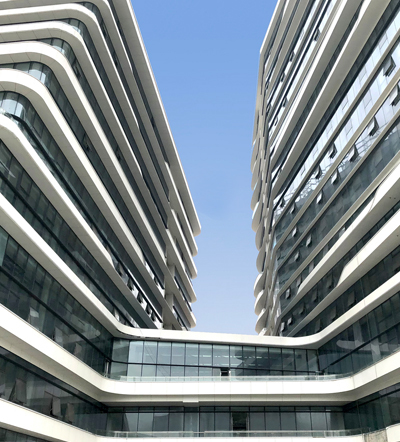 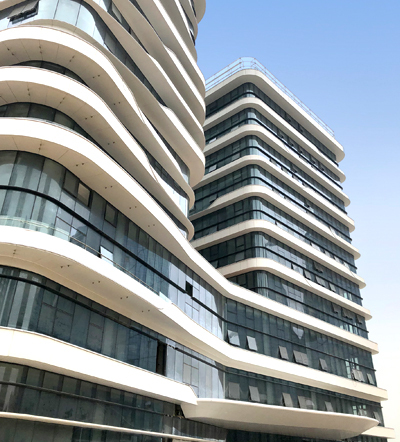 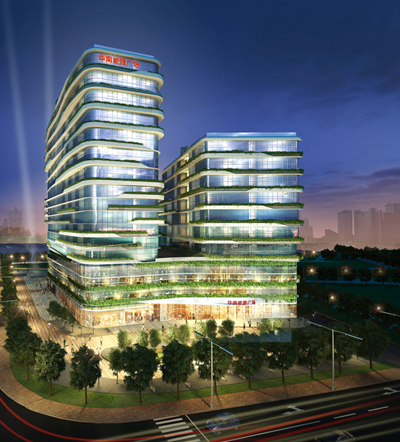 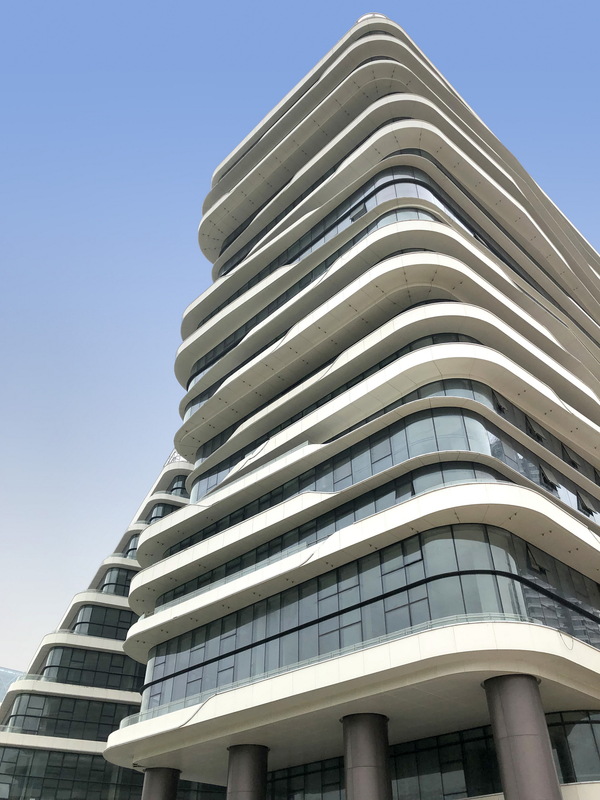 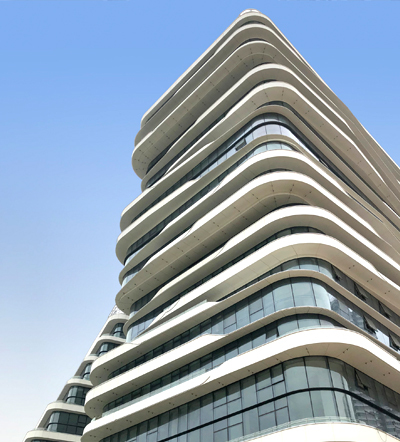 The development is a mixed-use program comprising a 16-storey office building, an 11-storey 5-star luxury hotel with event facilities, atop a podium of commercial spaces. 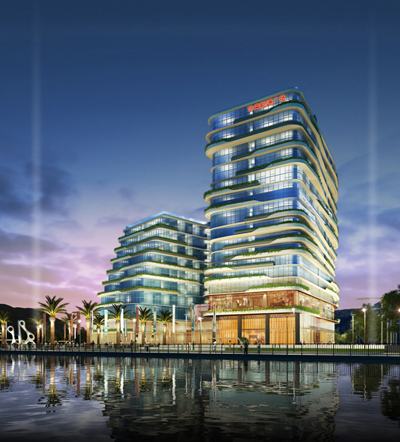 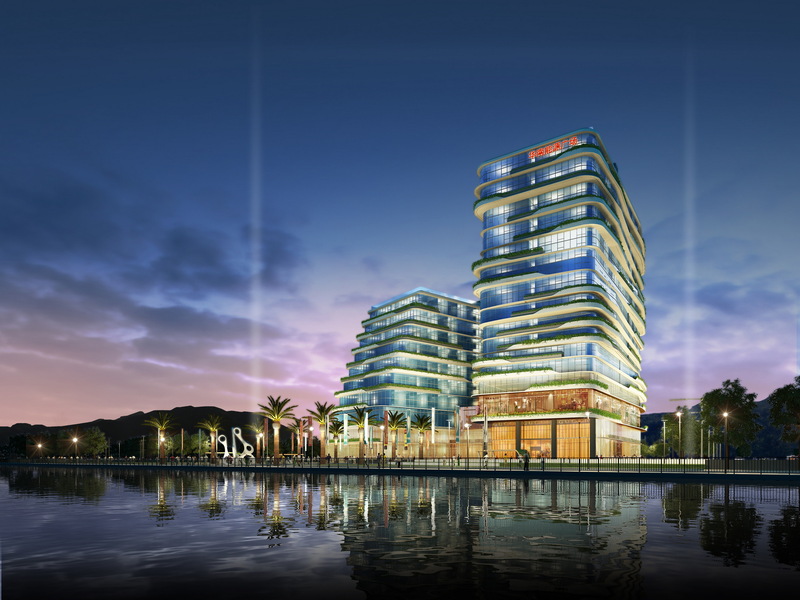 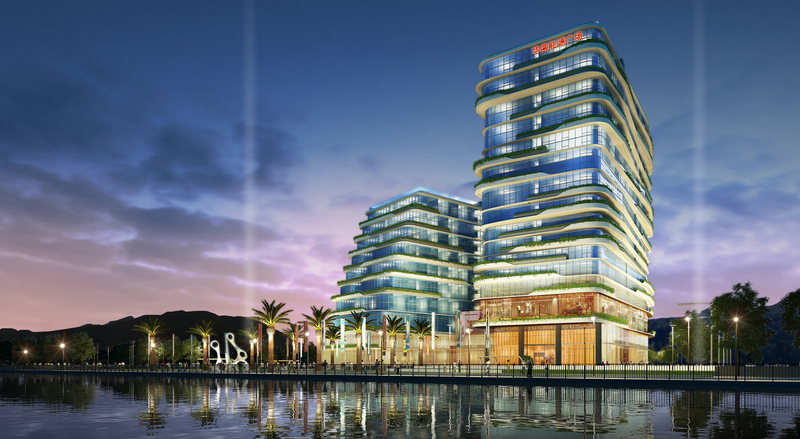 The development includes a plaza as part of a waterfront promenade which includes spaces of outdoor dining and activities, pavilions and viewing decks – across the shore is the city of Macau. 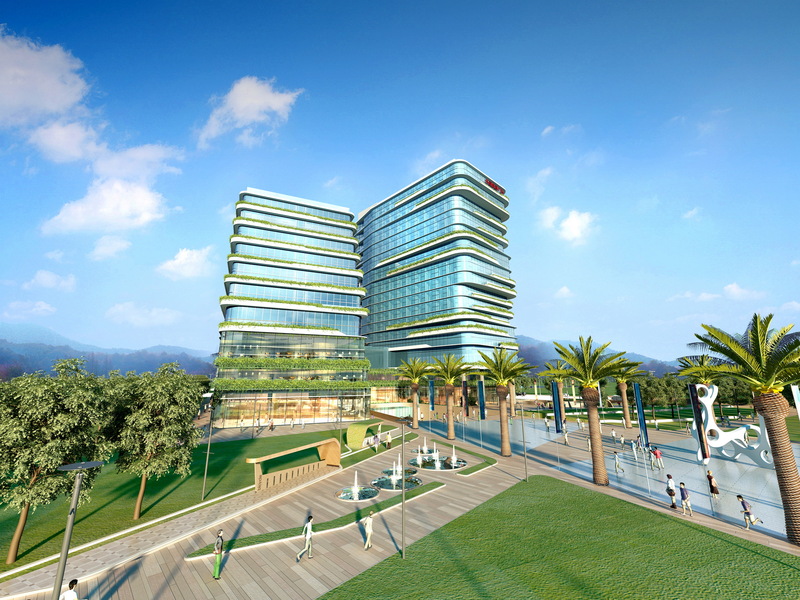 The development is designated to be the headquarters of energy and energy-related businesses, as part of the city’s ambition to create economic centers. 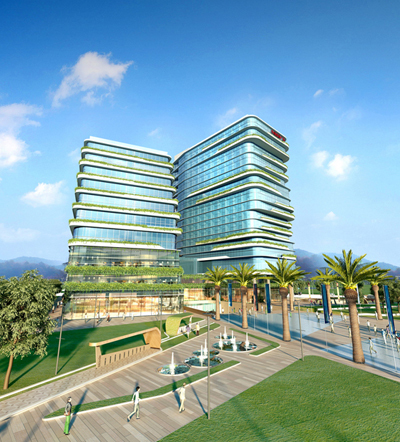 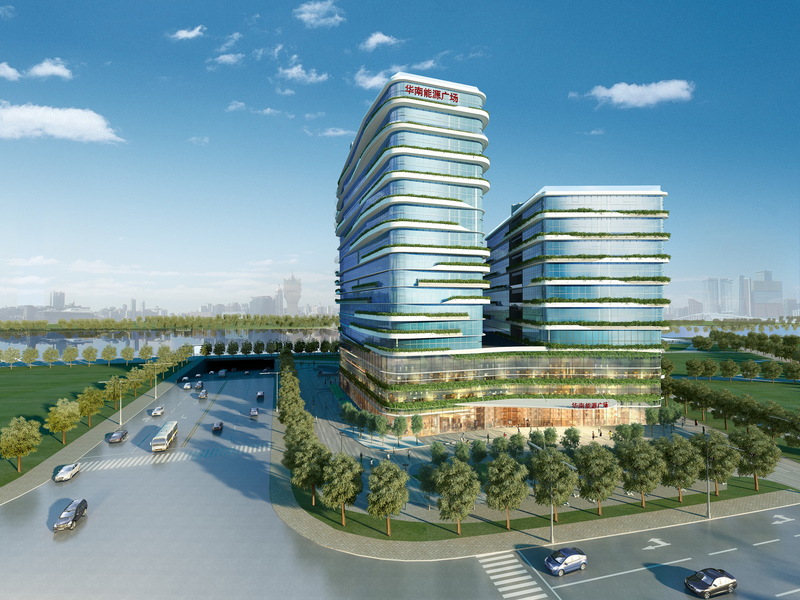 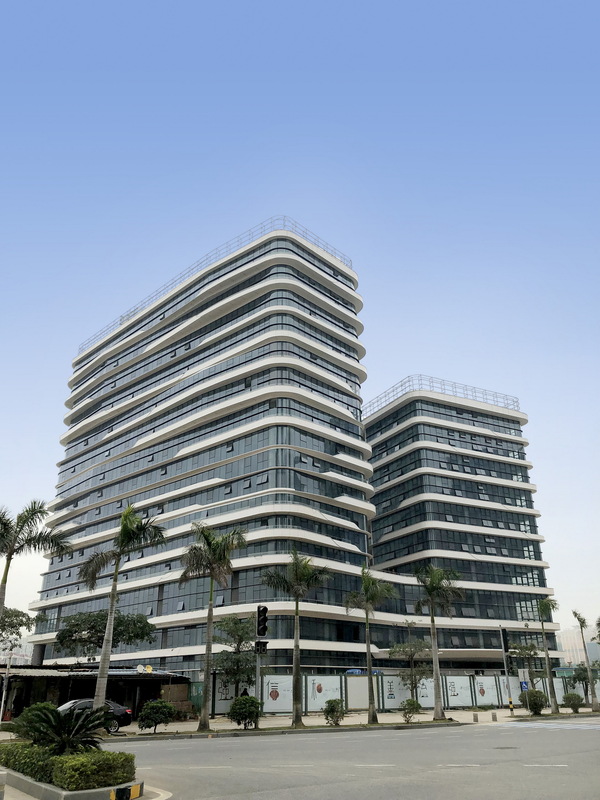 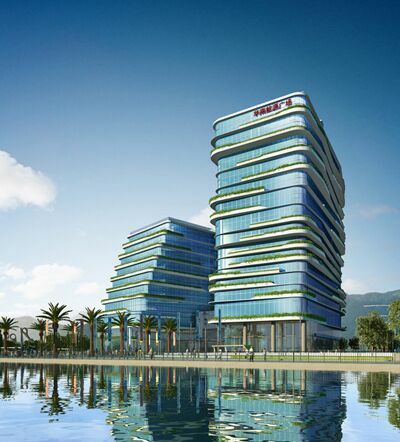 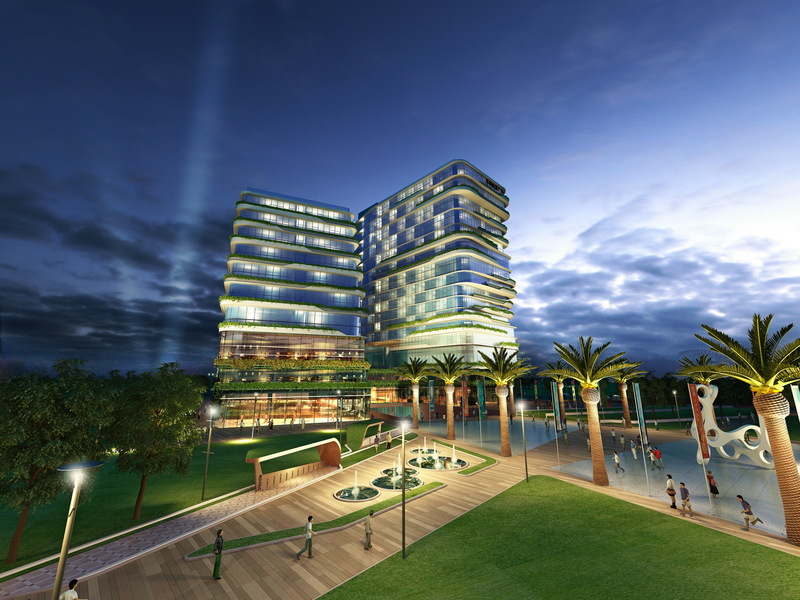 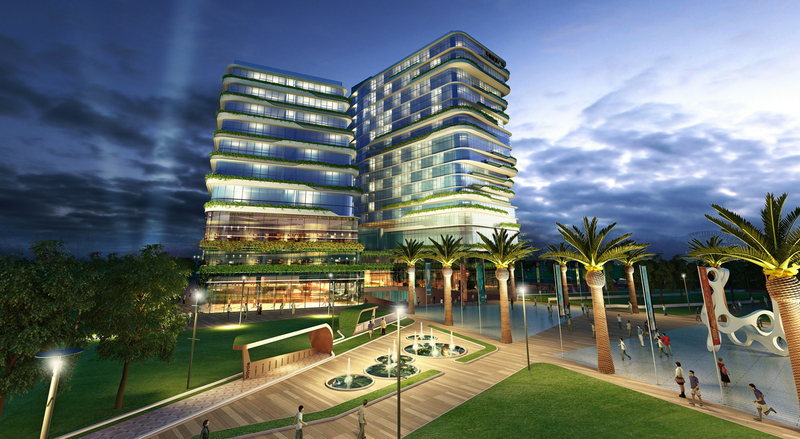 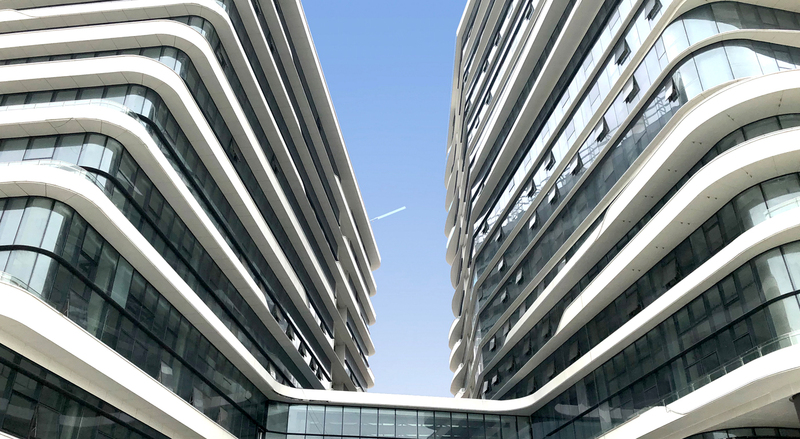 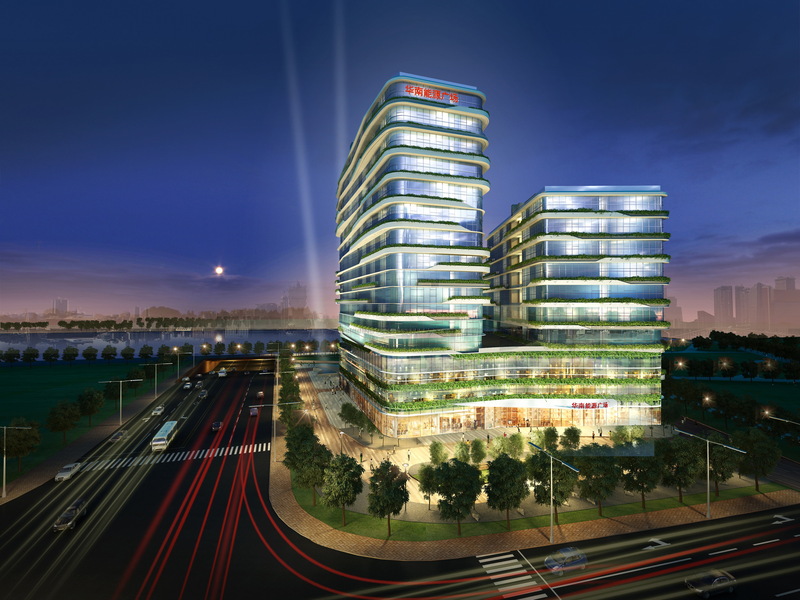 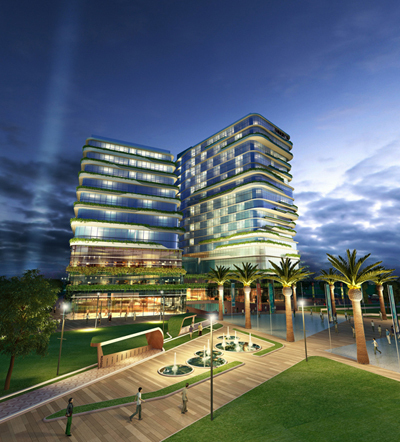 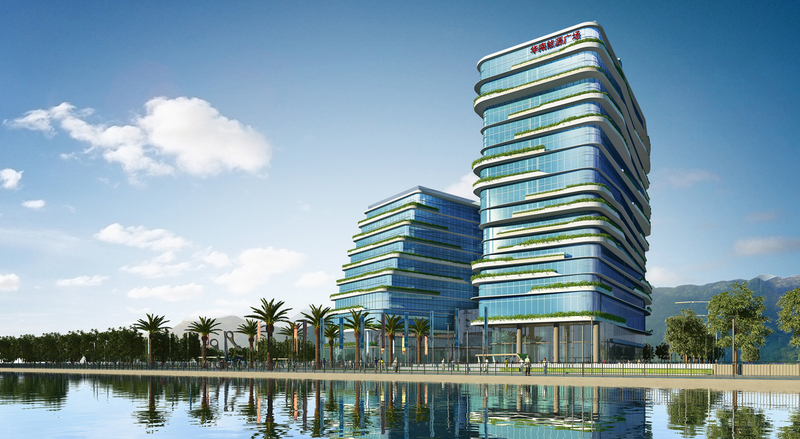 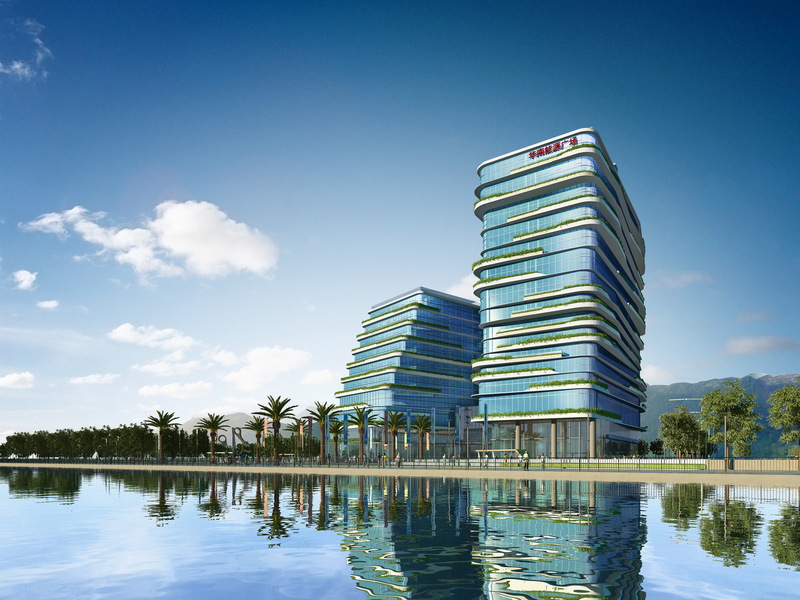 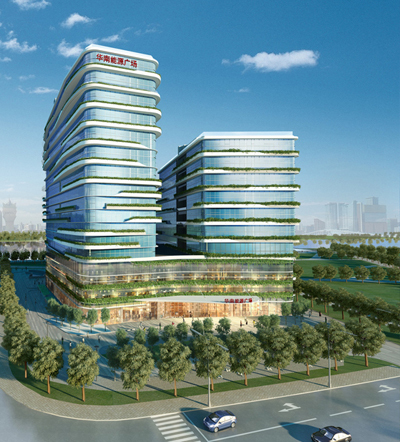 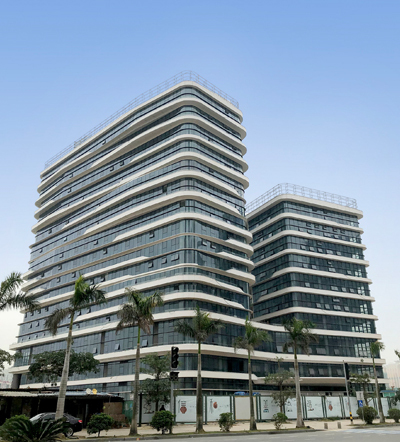 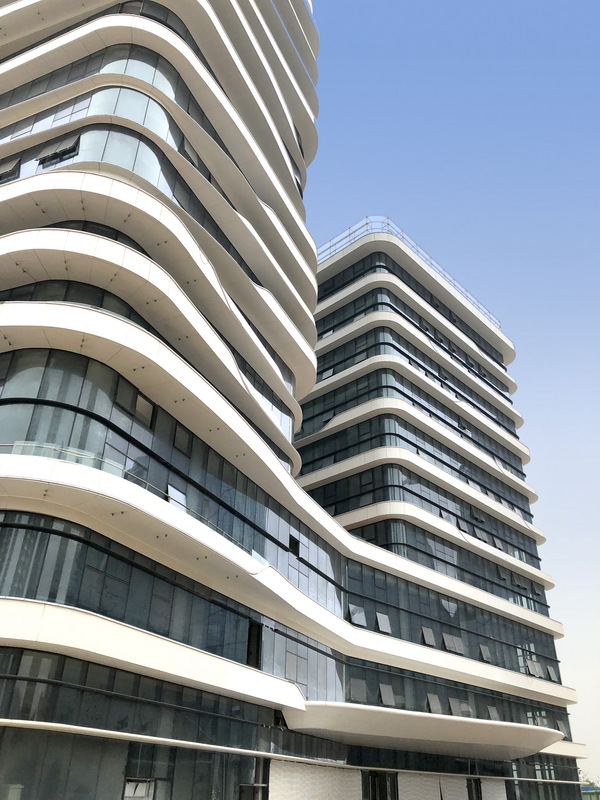 The buildings are designed in an eco-friendly way, intended to provide environmental benefits, add vibrancy to spaces, enhance branding of the city, and counterbalance the hi-tech nature of the businesses.